Lynne White went to Papua New Guinea in the 1950’s with New Tribes Mission with her husband John. They evangelised the Gimi tribes, wrote down the Gimi language and translated the New Testament into Gimi. John lost his long battle with cancer in 2011 and is now with his Lord. 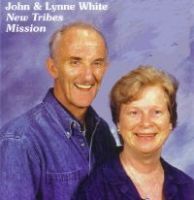 Lynne is currently working with New Tribes Mission in Florida. 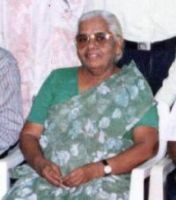 Ghuna Kumar is the director of Gospel Friends Ministries based in Chennai (Madras). 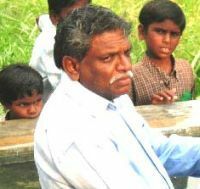 They have planted and support 150 small rural churches throughout Tamil Nadu. They also run a Bible College, orphanage, school, health centre and vocational training centre. Paul and Lynne Round are missionaries with WEC. They work to promote interest in mission among young people and run annual youth camps in the U.K.
Audrey Maw was a missionary in Nepal. 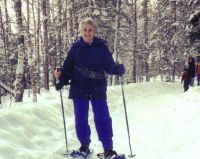 She moved to Canada to work among international students when she retired. She is a talented artist and keen fisherwoman! 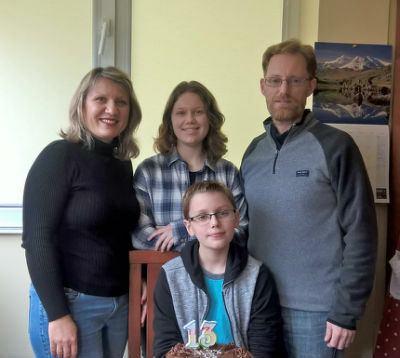 Tim and Lydia Awtrey lead a protestant church called New Life in Shishtov, Bulgaria, near to the River Danube. Tim is an American from the Free Will Baptist denomination, who started mission work in Bulgaria in 1991 where he met Lydia. They have visited our church, with Tim preaching and Lydia speaking to the ladies. Their children are Yanna and Alex. Rani Thasia was the director of the Bombay Revival & Prayer Band. Sadly Rani passed away a couple of years ago but the work continues under the leadership of her children. They plant churches and support pastors & evangelists in the Mumbai (Bombay) slums and beyond. They also run a Bible College, school and orphanage. Cranford Baptist Church is a nearby FIEC affiliated church in west London which has been revitalised under the leadership of Pastor Robin Asgher for the past 15 years. It has required financial and other help to re-establish the church, so the Cranford Support Trust was set up, with help from the FIEC and a number of supporting churches including Hounslow Evangelical Church.